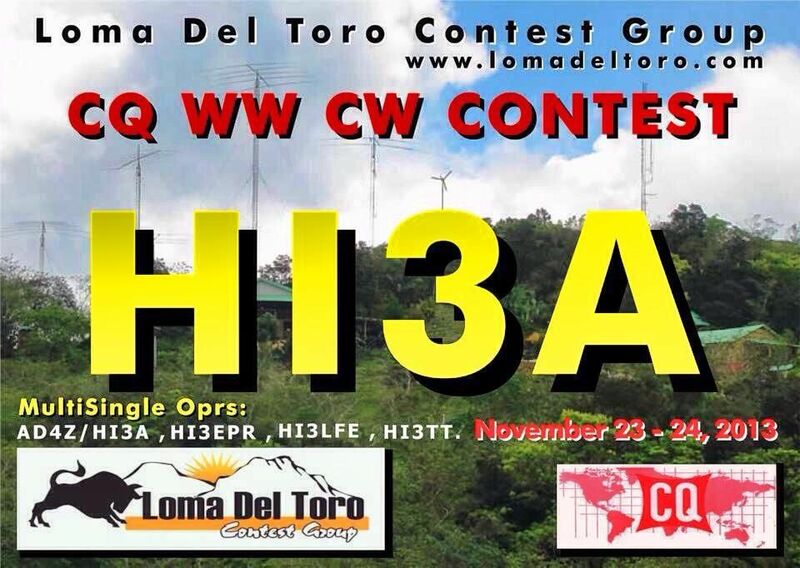 AD4Z, WP3A, HI3EPR, HI3LFE, HI3K will be active from Dominican Republic in CQ WW DX CW Contest 29-30 November 2014 as HI3A. Dominican Republic is situated upon an islet and this term is used for referring towards a nation. The main islet Hispaniola that is considered as an area of Greater Antilles group inside Caribbean contains Dominican Republic. Haiti is known for occupying three-eight of island towards west side and this makes Hispaniola to stand among those islets of Caribbean, which are being shared by more than one country. As far as population also area are concerned Dominican Republic is regarded as 2nd largest nation of Caribbean that is extending over 18,705 sq mi and is known for accommodating ten million individuals. Tainos are known for inhabiting this region since seventh century and historical evidence suggests that Christopher Columbus reached this islet in year 1492. Spanish ruled this region for 3 centuries, but country was successful in achieving independence in year 1821. Many events followed after this and Dominican Republic for sometime even went back to rule of Spanish, but things are settled now. The data which has been collected so far indicates that this nation possesses 9th largest economy inside Latin American region and inside Caribbean it possesses 2nd largest economy. Mining along with agriculture is an important part of economy. Economical development of this region is illustrated by highly advanced system of telecommunication also infrastructure of transport. However presently country is fighting with many issues like corruption, unemployment etc as these are disturbing factors. Nevertheless this Dominican Republic holds status of being one of those destinations of Caribbean that welcome a great number of visitors. Its golf courses are considered as prominent attractions of this region and it is said that a high level of geographical diversity is exhibited by this part of world. Another significant point associated with this region is that it acts as home towards tallest peak of this region named as Pico Duarte also Lake Enriquillo is another important and significant destination. Estimates suggest that mean temperature of 26 degree centigrade prevails here and region is noted for depicting a very high level of climatic also biological diversities. The culture of Dominican Republic gives special respect to sporting activities and music. Baseball enjoys status of being favorite game of nation. During major part of History this area was referred to as Santo Domingo and residents were noted as Dominicans. Currently Dominican Republic stands in list of those nations, which possess demonym derived adjective names. Sometimes country is also known as D.R. 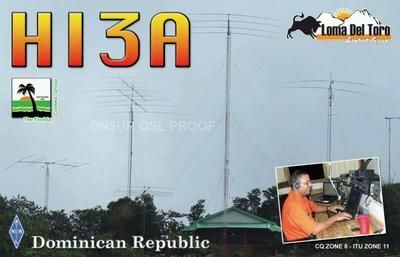 Dominican Republic lies upon east of 2nd largest islet present inside Greater Antilles and as we have described above islet is shared with region of Haiti. Estimates indicate towards point that this country is extended over 48,442 kilometer squares and this provides many titles and recognitions to this region. Santo Domingo holds status of being capital and it lies upon coast at South. A number of smaller cays and islets are also counted in its territory. Four prominent ranges of mountains are associated with this country and these are associated with mainland of country. A huge level of tropical diversity is associated with this region because of this climatic conditions depict great variations. Annually mean noted temperature is near 25 degree centigrade and at heights mean temperature is recorded as 18 degree centigrade on the other hand mean temperature nearer to levels of sea in taken as 28 degree centigrade. Not only this inside valleys that are protected temperature can reach as high as 40 degree centigrade and according gathered estimates January also February are counted in coldest months of year whereas no month is as hot as August. Wet season prevails from month of November to January along northern shoreline. Mean rainfall that is recorded annually is 1500 mm. West is considered as driest region and Hurricanes also leave their impact between months of August to October. The data presented by official sources indicates towards point that Dominican Republic is noted for having second largest economy of Central America and Caribbean. However, the country is included in list of rapidly developing countries. The main pillars and contributors towards economy of country are natural collections of resources also services associated with government. It should be highlighted here that service sectors provide many handsome and entertaining jobs to natives, but still agriculture enjoys the status of being a main contributor and comes second only to mining. The growth, which has been experienced by service sector, is definitely amazing also tourism sector is experience amazing growth and prosperity and income generators thus providing decent support to economy of the country. Here it should be highlighted that economical growth is taking place regardless of the fact that country is passing through problems related with shortage of energy that leads to continuous blackouts and heavy financial losses. In past country has faced many issues and problems related with economy, but things are moving in a positive direction now and development is taking place at a good pace. Dominican peso enjoys status of being official currency here, but important point to notice is that USD along with EUR is currency that are accepted as well. Americans who visit this region get advantage of enjoying great rates of exchange. We have already highlighted above that tourism is a strong income generator for country and influences it in a positive manner. This country is counted in list of most famous tourists attractions offered by Caribbean and government has further highlighted the potential of sector by initiating many attractive projects such as Cap Cana and others. It is being expected that in upcoming years country is going to face a strong increase in activity related with tourism. The best aspect is attitude of natives, which is not only very healthy, but also convincing towards guests. Natural beauty along with technological development plays a smart role in attracting masses. In short, Dominican Republic Is a country that faced tough time in past, but now it is moving towards development and betterment and credit goes to dedication of natives.